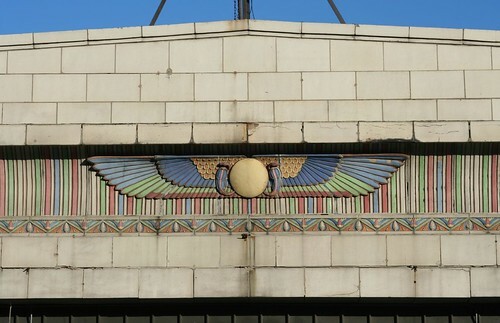 Pure Egyptian Revival was briefly all the rage in the early 1920s in the wake of various archeological expeditions, and any American city worth its architectural salt has a few examples scattered about. 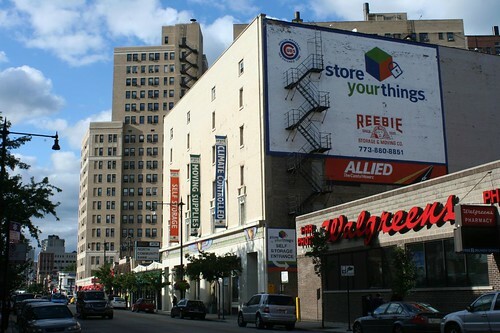 In Chicago, we have two outstanding examples in the northern neighborhoods. The first is in Uptown, at 4015 N. Sheridan north of Irving Park, and is currently home to Nick’s Uptown. 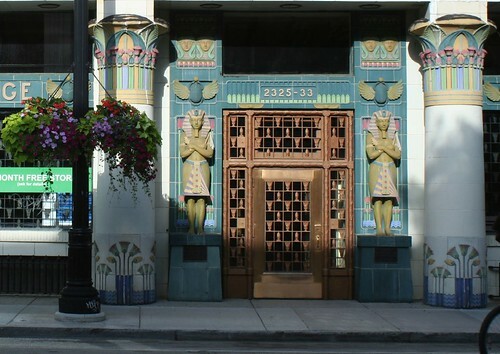 It was built in 1920 as the Marmon Hupmobile Showroom, and designed by architect Paul Gerhardt. 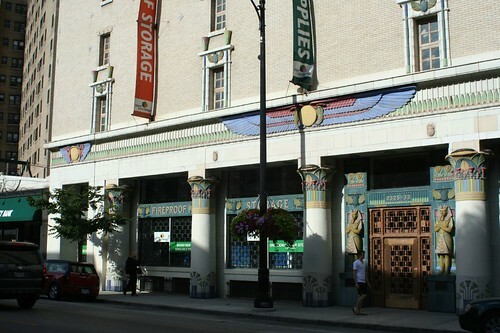 The second and more prominent is a fireproof store warehouse on Clark, the Reebie Storage and Moving Company. 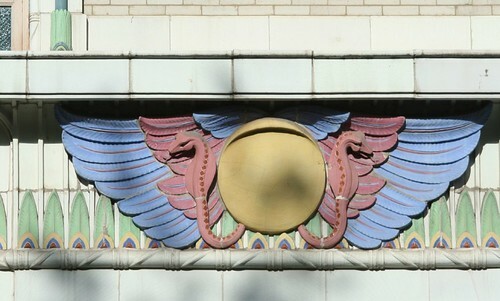 It’s a beauty, festooned with stylized decoration, including virtually the same “winged” design as the Uptown bar. Much like the fireproof warehouse up near Howard Street, this one is basically just a huge brick box, with applied decoration on the front. But oh, what decoration it is! 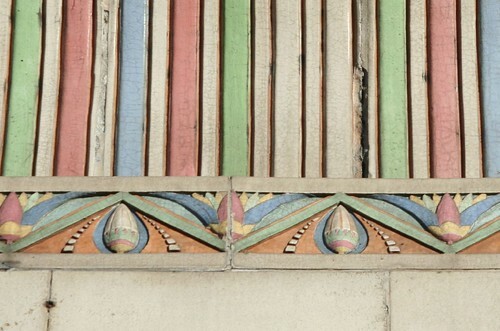 This entry was posted in Architectural Ornament and Materials, Terra Cotta, Uptown. Bookmark the permalink. Such gorgeous buildings! Thanks for featuring them. 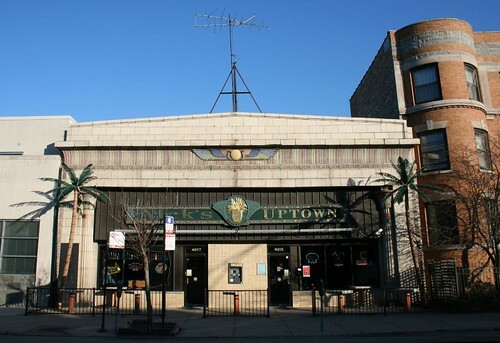 The building housing Nick’s Uptown was a bar called The Cairo Club in the 60s. You could still see that name painted on the north side of the building before they built that other building right up against it to the north (roughly 12-15 years ago?). I’ll see if I can find some old photos from the 60s.